Brazil registered a 2 goal win against Croatia in the friendly match played in Anfield. Brazilian Star striker Neymar scored in the 69th minute in his first appearance since February 25. Roberto Firmino closed the table with an last minute goal in the extra time. The hot favourites of Russian world cup wins the match leading through out the game. Brazilians has a ball position of 62 percent and they have also completed 658 passes and limited the Croatia to 383 passes. 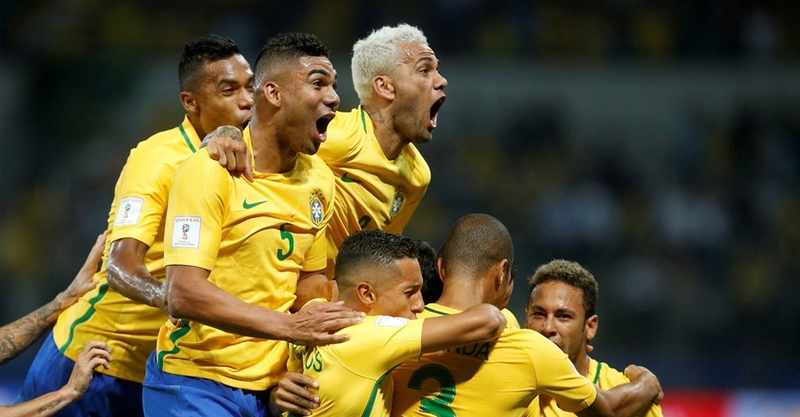 Brazil head to Russia as one of the favourites but this was a largely flat display, despite Tite choosing to start Gabriel Jesus, Willian and Philippe Coutinho, making his first appearance at the stadium since leaving Liverpool for Barcelona in January. Indeed, Croatia had arguably the better of the chances before Neymar produced his moment of magic, collecting Coutinho’s pass and dancing into space before finishing from close range in his first appearance since surgery on a broken foot. Firmino struck in the dying seconds to cap a successful outing for Brazil, who face just one more friendly with Austria next Sunday before their World Cup opener against Switzerland on June 17. There were three bookings in a surprisingly feisty first half and Neymar’s first involvement off the bench saw him side-step a potentially painful lunge from Lovren, who was trying to halt his run. Brazil were finding it hard to fashion chances despite having close to 69 per cent of the ball, with Alisson again forced into action to parry Ante Rebic’s header, as both coaches took the opportunity to make further changes to their sides. That was until Tite’s men suddenly exploded into life 69 minutes in. Willian found Coutinho in space, he slid the ball to Neymar and the PSG man did the rest, facing up to Duje Caleta-Car before cutting onto his right foot and blasting high into the net. Coutinho earned a warm reception from the Anfield crowd as he was replaced late on by Fred, who has been tipped to complete a move to Manchester United in the coming days. It was a current Liverpool hero who sealed a stylish end to the match, though, Firmino chesting down Casemiro’s flighted pass before lifting a neat finish over Danijel Subasic with practically the last kick of the game.